Faculty of Physical Culture, Palacky University in Olomouc, Czech Republic, has announced vacant postdoc position: The effect of primary mobility impairment on participation of students with physical disabilities in general physical education (P51). Dear colleagues, EUFAPA members, dear friends. 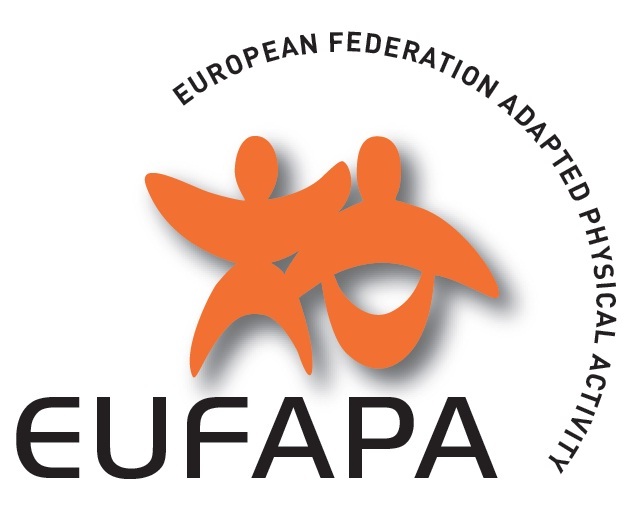 Wow, another year went by so fast :-) For EUFAPA and our official journal EUJAPA it was a very good year. We have organized very successful EUCAPA 2012 in Killarney, Ireland (great thanks to Ursula, Pat and their team) and EUFAPA board have selected host of EUCAPA 2014, which will take place in Madrid, Spain (http://www.eucapa2014.eu/). Welcome to the Latest Newsletter from the Peter Harrison Centre for Disability Sport, Issue 12, Winter 2012. Please find the full colour PDF version of the newsletter attached to this email. A printed copy of the newsletter is also on its way to you if this has been requested. Anyone who wishes to be added to the postal list could you please let me know the address details via e-mail. Also should you have any colleagues or friends who would be interested in receiving our newsletter via e-mail please pass on their details via e-mail. The Erasmus Mundus Master in Adapted Physical Activity is a 2 year Master program in partnership between the Catholic University of Leuven, Belgium, the University of Limerick, Ireland, the University of Olomouc, Czech Republic, the Norwegian school of Sport Sciences, Oslo, Norway, the University of Virginia (USA), Stellenbosch University (South Africa), and the University of Queensland (Brisbane, Australia). The objective of the Erasmus Mundus Master in Adapted Physical Activity is to combine the competencies of universities worldwide in order to offer the students a comprehensive training and adequate knowledge in the many aspects of Adapted Physical Activity (APA). I hope that this email finds you well and enjoying the festive season. Just quickly, thought I would send to you the recent advertisement for the new Professorial post we have in Sport & Disability here at the University of Worcester. Please feel free to distribute this through your networks to any that might be interested.